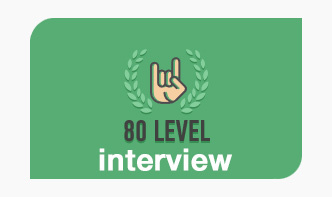 A couple of days ago I’ve had the wonderful opportunity of getting interviewed by 80.lv and talk about what I do, my Endeavours series and how I create what I create. I got some really nice questions that allowed me to cut a little deeper than usual, along with some pics that explain what I’m talking about. Surely an interesting read for everyone interested in CGI, Concept & Digital Art. Check it out! And definitely don’t miss the other articles on that site! Some really interesting digital art related topics covered there. This entry was posted on Monday, August 21st, 2017 at 14:20	and is filed under Publications. You can follow any responses to this entry through the RSS 2.0 feed. You can leave a response, or trackback from your own site.